The following websites offer at least one free version of baptism invitations that you can print directly from your computer. Click on any image to enlarge it for a better view. Links to the free printable baptism invitations can be found in the References section at the end of this article. Powered by American Greetings, Yahoo Greetings offers an array of invitations as well as greeting cards, mostly in electronic form, and also offers two printable baptism or christening invitations. Technically, these invites are only free to members, but you can enjoy a two-week free membership before deciding whether you want to become a paying member. A professional website designer and developer, Hoover Web Design also graciously offers a number of free printables. 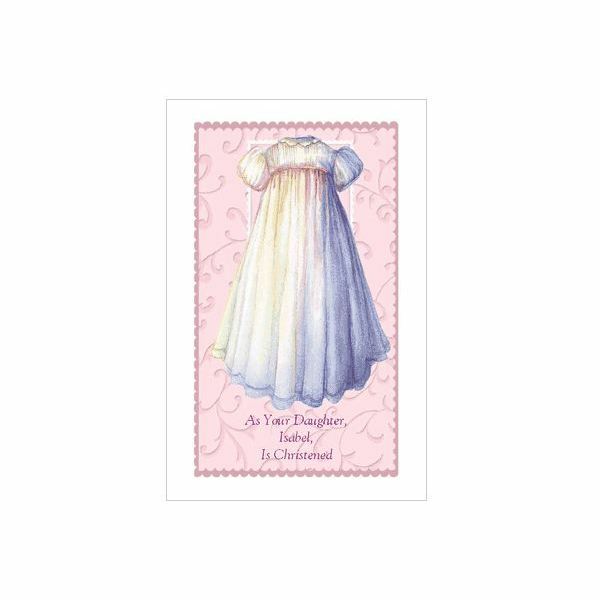 Included in these are more than 10 baptism invitations, such as baby baptism invitations with a family and priest or gender-specific invitations with adorable clip art babies. These printables are in PDF format, so you can print them as they are or edit them in Adobe Acrobat or other editing programs. While they are labeled "christening invitations," you could easily edit these PDF printables to change them into baptism invites. Three designs offer simple invitations with darling baby graphics and matching, printable envelopes as well. Note that these one-page invitations do bear the website's graphic in the corner. 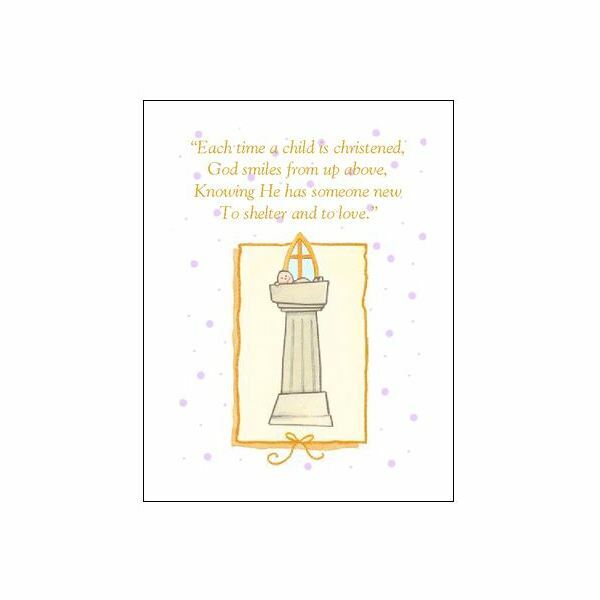 Another website known for its offering of e-cards, Blue Mountain includes two pages of cards and invitations that you can customize and print for infant or adult baptism celebrations. HP's Creative Studio for Home is a treasure trove of free printables, including several gorgeous baby-themed greeting cards and invitations that you can customize for your baptism and print from your computer. Appropriately named, this site has several pages in their "Baby Shower and Christening Invitations Cards" category. Pick an invitation you like and click on it. Clicking the Print Now button sends it directly to your printer. 8gr.org offers a single christening invitation. 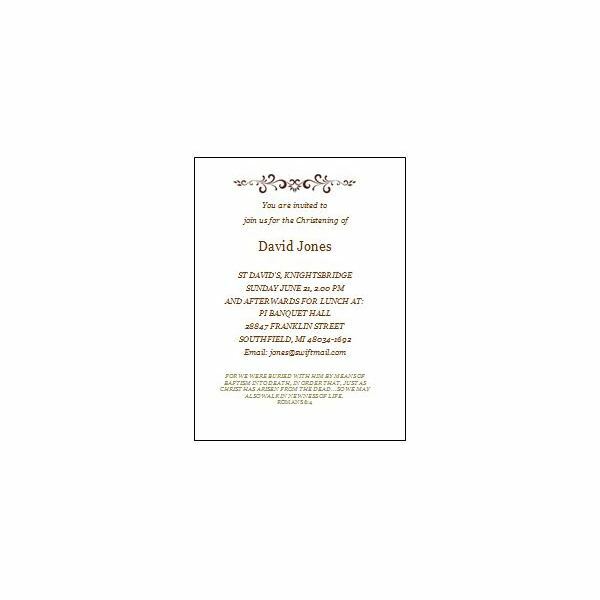 The benefit of using this invite is that downloads as a Microsoft Word document, so providing you have Word on your computer, you can change and personalize this invitation for your baptism needs. Although you do need a membership to edit and print the invitations and other printables on this site, you can sign up for a free trial membership and the editing tools offered at American Greetings are full of features. 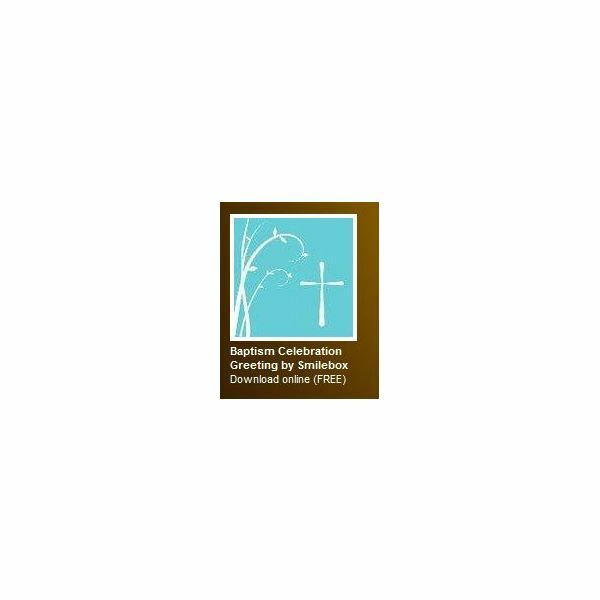 They offer infant and adult baptism cards and invitations, as well. With a name like All Free Invitations, this site may be last on the list but it is certainly not least worthy of mention. 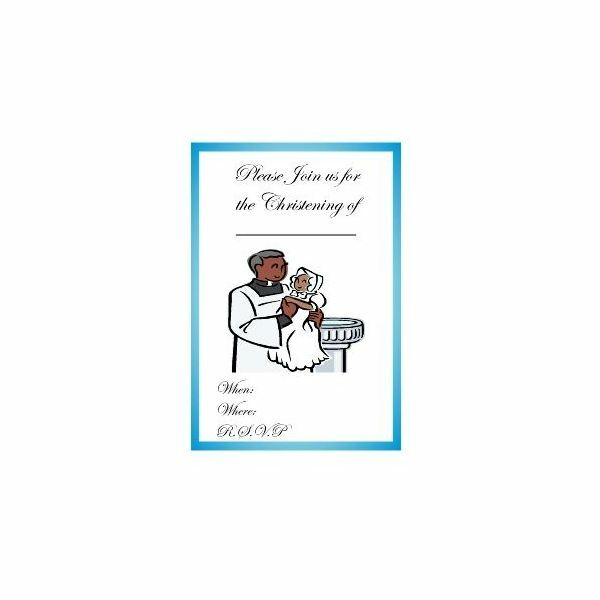 They offer several infant baptism invitations, all in PDF format.